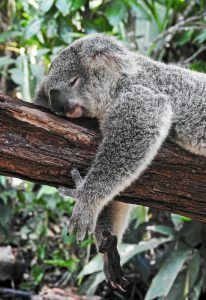 Do you have trouble falling asleep and find yourself tossing and turning in bed for hours at night? Do you experience waking up several times during the night or waking up in the morning still feeling tired? If so, you are probably suffering from some degree of insomnia. 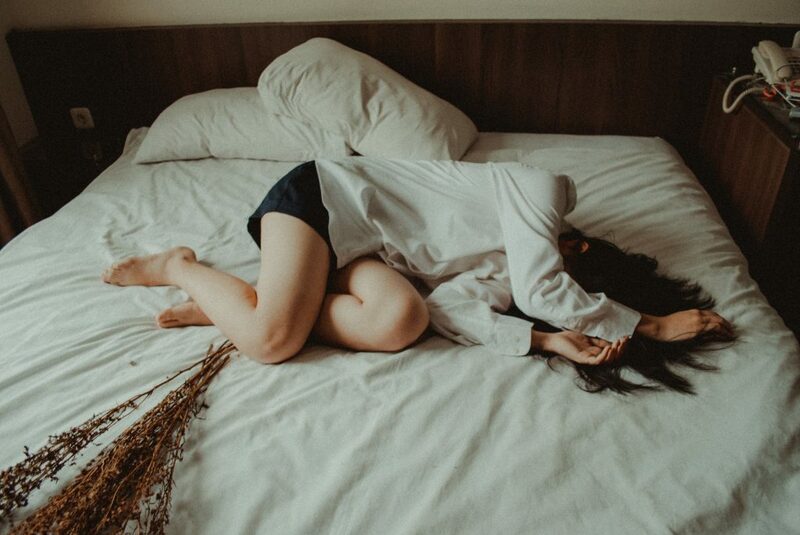 Usually, the first thing we resort to when suffering from insomnia is medical sleeping aids such as benzodiazepines, barbiturates and hypnotics. These are usually pretty effective, but also come with a lot of side effects that can severely interfere with our daily activities, such as breathing issues, dizziness, drowsiness during the day, diarrhoea, headaches, and unusual dreams. As a consequence, many of us are looking for more natural solutions, with less extreme side effects. The good news here is that we have searched the market for the best natural sleep supplements available on the market in 2019, and we have found a lot of great products, perfect for mild to moderate insomnia. But before we dive into that, let’s get a quick introduction on sleep itself. Whether you see sleep as a waste of time during which nothing can be accomplished or as something you love to indulge in from the comfort of a warm bed, sleep is a crucial part of our existence. Indeed, as much as dieting and exercising, getting the right amount of quality sleep every night is one of the important factors of our general health and well-being. Not only does sleep help our bodies rest from the exhaustion of the day, it also supports a healthy brain function. You’ll notice that after a bad night where you only get a couple hours of rest, you will feel tired, less alert, more irritable, and your reaction times will be slower. This can interfere with your productivity at work, lead to bad performances in the gym, and can be outright dangerous if you are driving or operating machines. However, these are not the only consequences on the brain caused by a lack of sleep. During sleep the brain is busy building new connections and storing information instead, working through everything you have learnt that day. In the end, these processes will help us remember what we have learnt in the past, and set a healthy environment to learn new things as we go along. 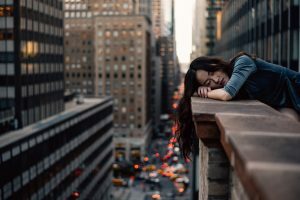 In addition, several studies have shown that a lack of sleep can affect certain areas of the brain, and notably those controlling decision-making, problem solving, creativity and emotional control. As a consequence of the latter, lack of sleep can lead to depression, suicidal thoughts and uncontrolled behaviour. Our physical health also gets affected by the amount of quality sleep we are able to get every night. Healthy amounts of sleep help regulate blood pressure, control blood sugar levels, and balance hormones. As a result, a lack of sleep can trigger hunger pangs during the day (combined with a decrease in our willpower to say no to high fat, high sugar processed foods), which has been linked to obesity. In addition, as our heart and blood vessels undergo a healing process during our sleep, not getting enough quality sleep increases the risk of heart disease, stroke and kidney disease. Finally, in children and teenagers, sleep is heavily involved in growth and development. This is mainly due to the fact that, according to almost all experts on the topic, 75% of the growth hormone naturally produced by humans is released during sleep. As growth hormone is also active in the building of muscle mass, getting enough sleep is important as well for people looking to become physically stronger, or who have goals to grow in body building. While sleep is paramount to our good health and well being, some of us are still affected by insomnia, or cannot help waking up several times during the night. Others may even feel like they are sleeping for a correct amount of time, but actually have a poor quality sleep and will still feel unrested the next day. So, are there any tips to get some better sleep, or to fall asleep faster before reverting to supplements and medication? The answer is yes! 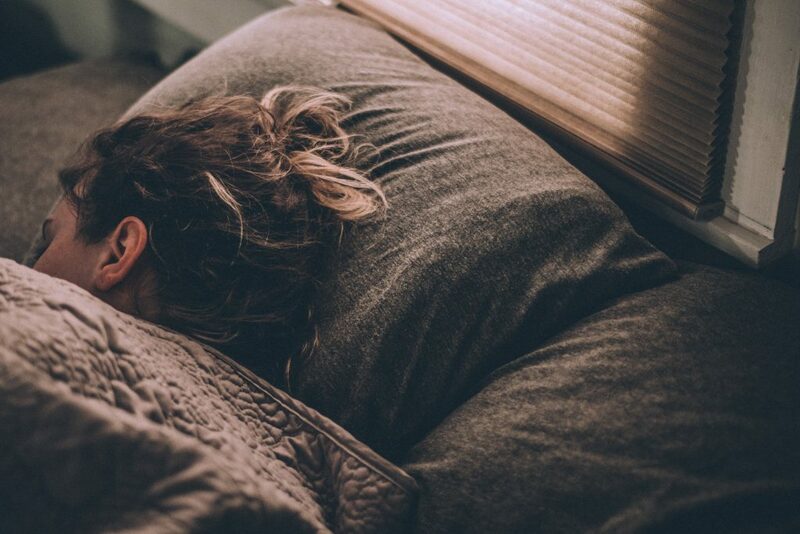 There are many simple things we can integrate in our daily routines to improve our sleep. In the evening, avoid working out too late, as intense exercise triggers the release of adrenaline, which then stays in the body for a few hours even after we have left the gym and can keep us awake for longer. To avoid that, plan your workout for the morning or the early afternoon. Stimulants such as tea or coffee should also be banned after mid-afternoon. Indeed, while you may feel amped up for only an hour or two after drinking a coffee, your body stays awake and your sleep quality will be at risk of being affected for actually much longer. This is also true for caffeinated sodas such as cola, or many pre-workout supplements for the gym. After 4 or 5pm, switch to herbal infusions or decaf. At night, avoid using your phone for at least half an hour before going to bed, as the blue light it emits can interfere with our ability to fall asleep. Try reading a book instead, or having a chat with your family or partner. During the rest of the day, eating healthy foods and avoiding a heavy dinner can also help. Healthy amounts of physical exercise can also induce physical and mental tiredness which will make sleep easier to find at night. Valerian is an herb that has proven its efficiency against mild insomnia over the centuries. At higher dosages, it can however cause drowsiness the next day. 5HTP is an amino acid and a precursor to melatonin and serotonin. A good dosage would be around 50 mg, to be taken 30 minutes before bed. Be careful though, as anything affecting serotonin levels can cause serious side effects. L-tryptophan is a precursor to 5HTP. It is recommended to take 1g half an hour before your normal bed time. GABA affects the brain and triggers relaxation while reducing stress and anxiety. It is recommended to take 1 to 2g. ZMA is a blend of zinc and magnesium. Magnesium can help achieve a deeper sleep state and stay asleep for longer. You need to supplement with magnesium for several weeks to start seeing a tangible effect on your sleep. Melatonin is naturally produced at night time by the human body to support the sleep and wake cycles. It also helps with falling asleep, and you’ll see many websites recommending it for sleep issues, jet lag and to help shift workers balance their cycles. Note, however, that all forms of melatonin are considered prescription-only in the UK, meaning you can only get it from the pharmacy if you have a doctor’s prescription. Likewise, the only form of licensed melatonin is in slow-release form and only prescribed to treat sleep disorders in people 55 or over. Note that pregnant or breastfeeding women or people with medical conditions such as depression, epilepsy, diabetes or high blood pressure should not use melatonin. Melatonin may also interact or counteract certain other medicines such as warfarin, other anti-coagulants, immune-system medication or other medicines for sleeplessness. For all the reasons above, we would not recommend you attempt to buy or import any melatonin capsules into the UK. This doesn’t mean you can’t enjoy the benefits of melatonin however. Some supplements now use natural forms of melatonin such as Montmorency Tart Cherry (see Performance Lab Sleep below), which is both legal and safe. Others, such as 5-HTP supplements, are indirectly involved in making more of your body’s natural melatonin, and are becoming very popular as a result. 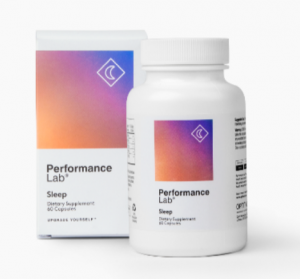 Performance Lab Sleep is our top choice for natural sleep supplements in the UK in 2019. We are big fans of the Performance Lab range in general, and once again they have not disappointed with their sleep supplement. This supplement is designed to quieten your mind and prep you for sleep by soothing your nervous system, delivering natural melatonin and encouraging the production of serotonin, a precursor to melatonin. Once you are asleep, Performance Lab Sleep also promotes the renewal of cells so you can wake up energised, and supports a healthy circadian rhythm to allow you to have the best quality sleep possible. The best of all? They do it 100% naturally. Not a single component in Performance Lab Sleep is made from chemicals, which is always a great advantage in our opinion. For you, this means no sedation, no drowsiness, and no risk of becoming addicted and losing efficiency of the products over time. So, what exactly is in this supplement? Montmorency Tart Cherry extract delivers healthy amounts of natural melatonin, as it is one of the only food source that contains it naturally. As a consequence, it has been scientifically proven that drinking tart cherry juice before sleeping can extend sleep duration and quality. Montmorency Tart Cherry also promotes the natural release of melatonin by the body. L-Tryptophan then stimulates the creation of serotonin, the happiness hormone, in the brain. Serotonin is also a precursor to melatonin and can thus trigger sleep. Finally, magnesium provides a cooling and soothing effect to put the mind at peace and stop our crazy trains of thought before going to sleep. It is included in three different forms in Performance Lab Sleep to increase bio-availability. 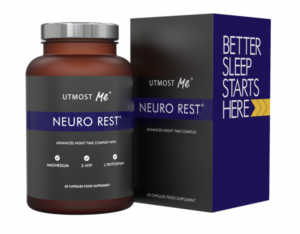 Neuro Rest is also a great all-natural sleep supplement that can be used without fear of nasty side effects the next morning. Just like Performance Lab Sleep, it uses magnesium in its formula to soothe the mind and calm anxiety, as well as L-Tryptophan to stimulate the production of serotonin and increase melatonin levels in the body. In addition, Neuro Rest includes 90mg of 5 HTP, which is the substance into which L-Tryptophan gets converted into. As such, 5 HTP increases the levels of serotonin in the brain which in turn will produce more melatonin, often dubbed as the sleep hormone. 5 HTP is provided through Griffonia seed extract, an all-natural source. Neuro Rest also includes a blend of fruit extracts designed to provide the body with even more melatonin and soothing agents. The blend is made of Montmorency tart cherry extract, grape skin extract and watermelon extract. The fruits also bring a good amount of antioxidants to improve general health on a daily basis. Finally, the Mental Wellbeing Blend used in Neuro Rest is designed to improve general well being and mood. It lowers anxiety levels and provokes a mild sedative effect, which is perfect to fall asleep peacefully at night. While Neuro Rest is a really great quality, efficient sleep supplement, it only comes second in our list due to the increased risk of interaction with SSRIs antidepressants, though the dosage of 5 HTP is low. If you are taking SSRIs, talk to your doctor first. 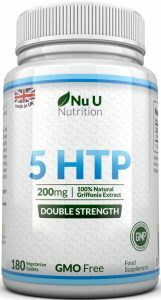 Nu U Nutrition 5 HTP is, as its name suggests, a 5 HTP supplement only. Nu U Nutrition is a well known brand in the UK and claims to make natural, high-quality supplements for a low price. After seeing the thousands of reviews this product has on Amazon, it is safe to say that Nu U Nutrition delivers on its promises and customers are satisfied. By raising the levels of serotonin in the brain, 5 HTP contributes to the decrease of anxiety and helps us lift our mood in our day to day lives. People with lower anxiety and stress levels also tend to fall asleep faster and to have an overall better quality sleep during the night. In addition, supplementation with 5 HTP has proven to decrease the number and intensity of night terrors. Serotonin is also a precursor to melatonin, the hormone produced by the body when it is time to go to sleep. As a consequence, supplementing with 5 HTP can be of great help when trying to fight insomnia and sleep problems. One serving of Nu U Nutrition provides 200mg of 5 HTP, which is a good amount to take 45-30 minutes before bed. While Nu U Nutrition 5 HTP is a great quality supplement and we do not really have any criticism to make about it, it comes third in our list as we feel a combination of different soothing agents and forms of melatonin are more efficient to fight insomnia. In addition, as 5HTP has an effect on the levels of serotonin in the brain, it interacts with medication such as SSRI antidepressants. Note, for instance, that this is a double strength supplement, containing 200mg of 5 HTP. If you are taking SSRI medication, speak to your GP first. 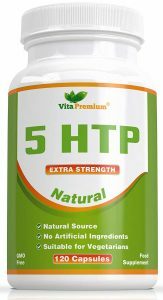 Vita Premium 5HTP is a supplement very similar to Nu U Nutrition 5HTP as it provides supplementation in 5HTP extracted from Griffonia seed, an African shrub naturally high in the substance. However, the dosage is twice as low as Nu U Nutrition, with one serving of Vita Premium 5 HTP giving you 100mg of 5 HTP. This is a good dosage if you are only experiencing mild symptoms of insomnia, or if you want to try a 5 HTP supplement for the first time and want to start on a lower dosage. We love the fact that the source of 5 HTP used in Vita Premium 5 HTP is GMO-free and made in the UK. Customer reviews on Amazon show that this supplement is effective and delivers on its promises.